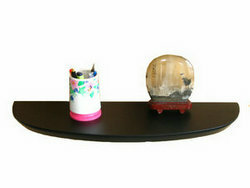 Floating shelves show here are some of our concept ones, they covers molding edge shelf, round edge shelf, bevel edge shelf, steam floating shelf, wing curve floating shelf and others. 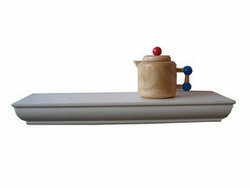 Unlike the classic floating shelves, these concept shelvings add unique character to your home decoration. Full range of sizes and finishes, you sure can choose the right one for your room. Hidden brackets installation save place and beautiful in appearance. Smooth surface easy for clean.